The brown grass fringe is normally two metres underwater. Over the past few months I have been commenting on the drought conditions Cape Town is experiencing. The main reason for our lack of water is that we had a very dry winter last year with very little snow in our mountainous areas. The Hottentots Holland range of mountains normally gets a good coating of snow from our winter storms and when this melts it makes its way into our dams which are all situated in or near the mountains. Cape Town has three main dams which supply water to the Cape Peninsula. The biggest is the Theewaterskloof Dam which is situated near Villiersdorp. Water from this dam is utilised mainly for irrigation but it is also piped to Cape Town to supplement the other dams when water becomes scarce. Theewaterskloof at present is less than thirty per cent full and if you drive along its banks you can see just how little water there is in it. The bridge that crosses the dam has a water mark about two metres below the level of the road when the dam is full. The water level is approximately eight metres lower now. To reach the water from the campsite situated on the northern bank of the dam one has to walk approximately 800 metres. The field one walks on should be at least three metres under water. The western part of the dam along the Franschhoek Pass road looks like a forest that has been bombed. The many trees that were covered by the waters when the dam was first filled are back on dry land and all that is left of them are rotten trunks pointing skywards. If this drought continues there could be a disaster brewing in the dam. Theewaterskloof is stocked with Black Bass and other fish and with the water level getting lower and lower there could shortly be a problem of the fish running out of water. If this occurs millions of fish will succumb. Fortunately summer is nearly over and we have had a few showers of rain but certainly not enough to fill the dams. We need about two months of constant rain to rectify the situation. 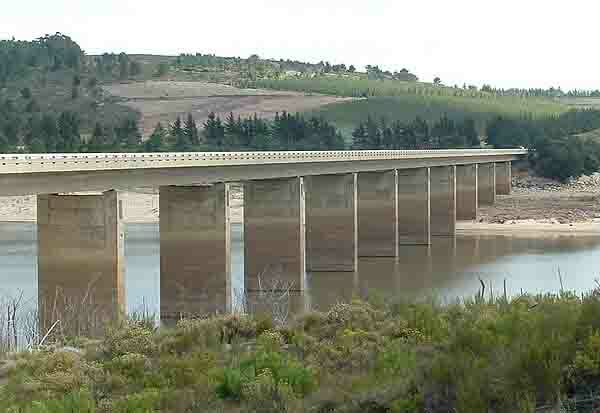 Steenbras Dam which consists of two parts, the upper and lower dams is also close to empty. The upper dam has no water in it as its water is drained into the lower dam as it empties. 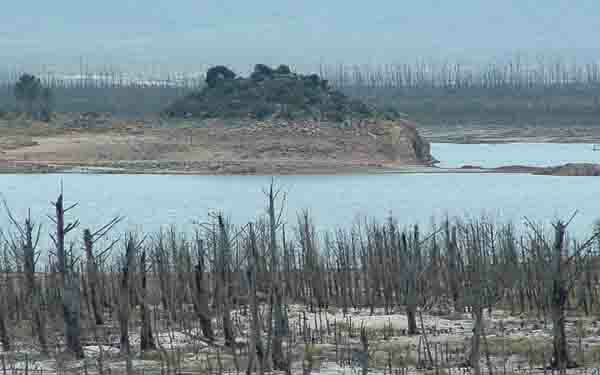 Cape Town's other dams, Voelvlei and Wemmershoek are also less than fifty per cent full. Good news is that a new dam is being constructed on the Berg River. Skuifraam Dam will take a year or two to complete before full use can be made of the water in the Berg River. It appears that the Berg river is not badly effected by the drought conditions. The river was flowing quickly through Franschhoek when we visited the area today. A couple of issues have come to the fore with regards to this new dam. 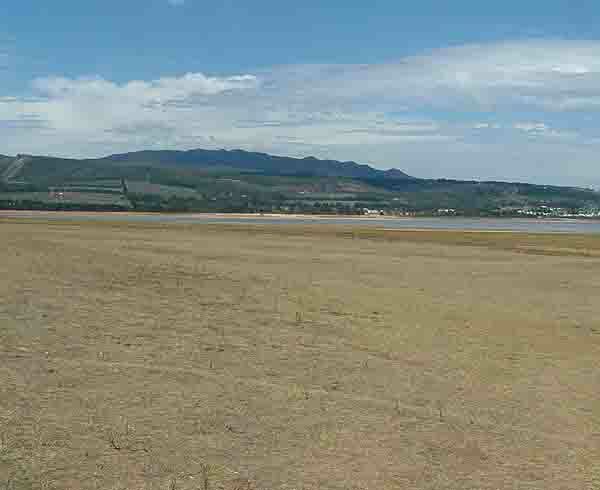 The Berg river is tidal in its lower reaches and there is a worry that with a restricted flow of water caused by the dam's construction the sea will push higher up the river at high tide causing increases in the salinity of the surrounding areas. Much of the west coast gets its water from the Berg River so if this happens fresh water could once again be a problem along this fast growing coastline. Farmers who pump water from the river for irrigating their vineyards might have their water supplies restricted or have to pay more for their water. Something that they will not be happy to do. Water is a very scarce commodity in the Western Cape and with the levels of the dams still dropping authorities have decided to have a “Water Week “ to bring to the attention of all the population methods of saving water. Many people are ignorant to the fact that water can be saved if it is used differently. Educating the public could go a long way to saving water especially in some of our poorer areas. Hopefully “Water Week” will drive home the need to protect our scarce water resource. We can only wait and see what effect it will have.